Chevrolet Fun At The Texas State Fair! You are here: Home / Great Deals / Chevrolet Fun At The Texas State Fair! 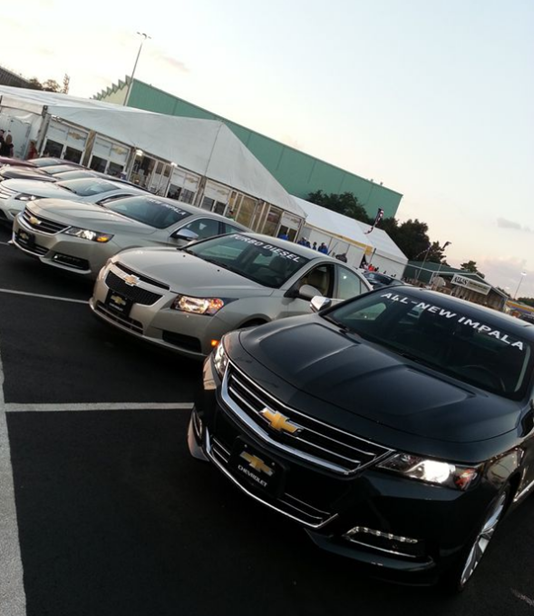 The other night we had the opportunity to head out to the State Fair of Texas to drive the new 2014 Chevrolet’s! It was a lot of fun, they had set up tracks and for the Silverado I drove, there was a rocky patch and an off road type place and then a large straight up hill, too! I was kinda nervous on that drive! 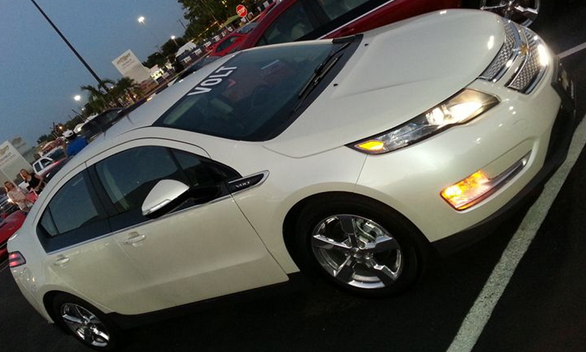 I also got to drive the new Volt gas/electric car and it was nice! If you’ve never driven an electric car – I have driven a few now and you would never know they were electric by driving them! They feel just like a gas powered car! 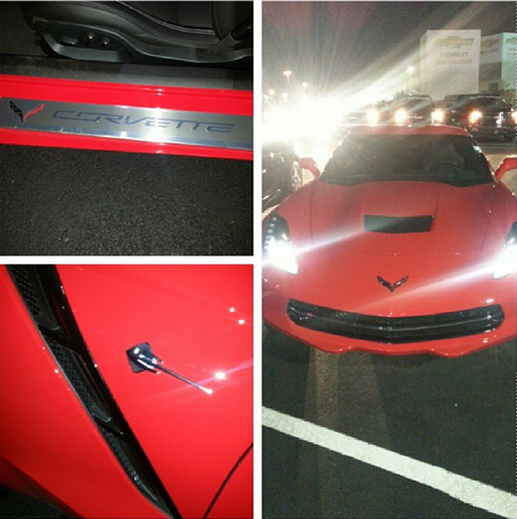 Hubby got to drive the white Corvette and I got the Red Corvette Stingray! 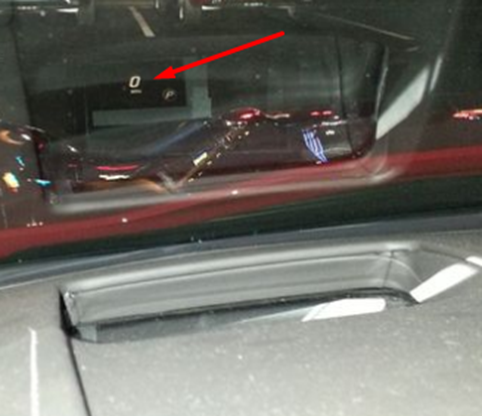 They were very nice – I had never driven a Corvette before! One of my favorite features of the Corvette was that the mph is always projected on the windshield in front of the driver so you don’t have to look down at the speedometer. Or pretty much FORGET to look down at at, if you’re like me ! Anyway, it is there all the time so, you always know how fast you’re going! 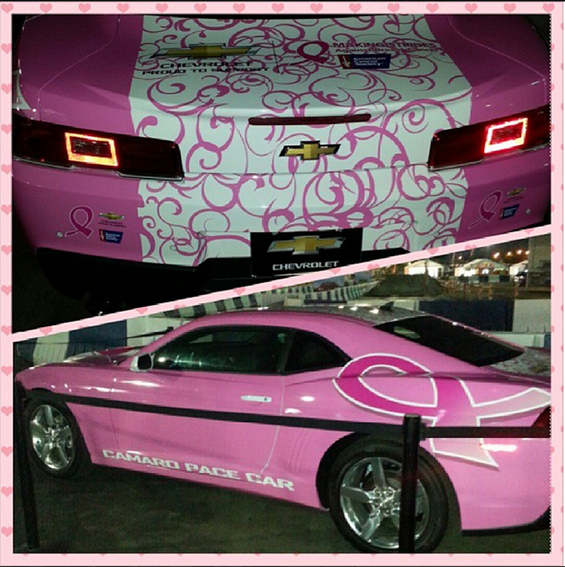 I didn’t get to drive this one, but, I had my eye on it the whole time and I had to take a pic of this Pink Camaro! 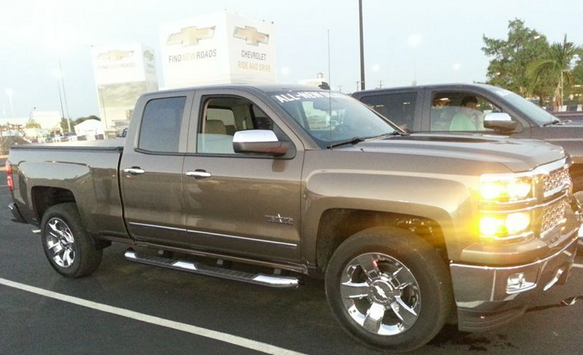 If you are local and headed to the Texas State Fair soon, be sure to stop by and check out the new Chevy’s for yourself! Can you comment on the logistics of driving the cars at the fair? Where exactly do you go? Did you get on a list or wait in a line? How long is the wait? Any additional information would be appreciated. They had actually closed the tracks for us to be able to drive them. There were 2 tracks they built. 1 for trucks and 1 for cars. We had to show our driver’s license and breath into a breathalyzer for a Police Officer.